Should you represent yourself or hire a lawyer in a small civil suit? If you want to file a civil suit in Virginia representing yourself rather than hiring an attorney, there are several things to consider. You would need to decide on which court to file in. 1 Your decision affects the costs and potential recovery in your case. If your case is worth less than $4,500, you must file in General District Court. 2 If your claim is for any amount up to $15,000, you may still file in General District Court instead of Circuit Court. If you are in General District Court, then a judge — not a jury — will listen to the evidence and decide the outcome of your case. If you are seeking more than $15,000, you must file in Circuit Court, where either side can ask for a jury. To file a civil case in General District Court, you must prepare a warrant or complaint, and file it with the clerk of the appropriate court. 3 There is generally a fee for filing and an additional fee to have the warrant or complaint served on the defendant (the person or business you are suing). The clerks of the court are often very helpful if you have questions about how to do this, but they cannot give legal advice. With regard to which local General District Court you may file your lawsuit in, there are usually several choices. Almost always you can file a case in the city or county in which the defendant lives, is regularly employed, or has a regular place of business. Usually you may also file the lawsuit in the city or county in which the cause of action arose. For example, if your property is damaged by a defendant who lives in Culpeper County and the property was damaged in Caroline County, you may file your lawsuit in either Culpeper County General District Court or Caroline County General District Court. If the defendant is a corporation, you may file the case in the city or county in which the corporation has its principal office or its registered agent. You can find out this information by calling the State Corporation Commission at 804-371-9967 or going online at http://www.scc.virginia.gov/clk/bussrch.aspx. Be prepared to go to court several times! The first court date you will get from the clerk’s office when you file is referred to as a “return date”. At that time, the defendant is required to appear (if he/she has been properly served). If the defendant disputes that he/she owes you money, a trial date will be set. Be sure to show up for this day, as the consequences for failure to appear may result in your suit being dismissed forever. On the trial date, you will need to present evidence that is both relevant and admissible. Normally documents you receive from someone else (except the defendant) are considered hearsay and are not admissible. If your lawsuit is for a small amount of money, it may not be economically practical to hire an attorney. 4 If you have a case that has complicated legal issues or involves a significant sum of money, however, you have more to win or lose, and should consider hiring an attorney to represent you. Most of the time if you represent yourself and lose, there is no way to successfully appeal. To get additional information about the General District Court and Virginia courts generally, visit the Virginia Court System website at http://www.courts.state.va.us/. About the Author: Kathleen is a Fredericksburg personal injury attorney. She handles cases all types of injury cases including car accidents, truck accidents, animal bites and premises liability. 1 – Virginia statutes specify which local court you can or must file a lawsuit in for a particular matter. This is called the “venue”. See Va. Code sec. 8.01-257 through 8.01-267 at http://leg1.state.va.us/000/src.htm. 2 – Normally the names of these two levels of court are not capitalized unless you are referring to a specific court, such as Fairfax County General District Court or City of Richmond Circuit Court. However, in order to distinguish more clearly between the two levels, the names are capitalized in this article. For more information on the levels of court in Virginia, see http://www.courts.state.va.us/courts/cib.pdf. 3 –You can find most forms for filing a suit in General District Court online at http://www.courts.state.va.us/forms/district/civil.html. 4 – In personal injury cases, such as those involving motor vehicle accidents, which may involve a pedestrian, bicycle, motorcycle, car, sport utility vehicle (SUV), truck, or tractor-trailer, the first consultation with an attorney is usually free, and if the attorney agrees to represent you, then the attorneys fee is usually a percentage of what he or she recovers for you. 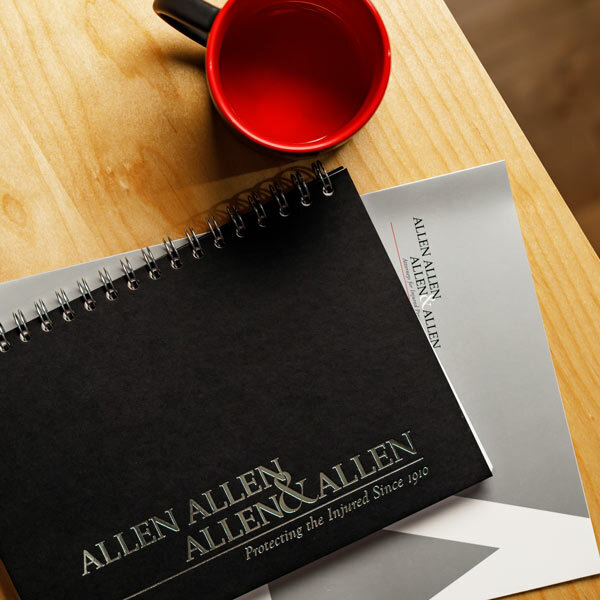 That’s how it works at our Firm.Visit https://www.allenandallen.com for more information.